Who doesn't love a comfy t-shirt? The Mountain® has been in business for over 30 years and printing T-Shirts for over 21 of those years. A little known fact that started over 20 years ago is that their artists receive royalties on every shirt sold. So you are supporting their artists, their families and their ability to keep creating as well! "I think Grumpy cat is adorable! Of course, I would say that ,having three spoiled cats. 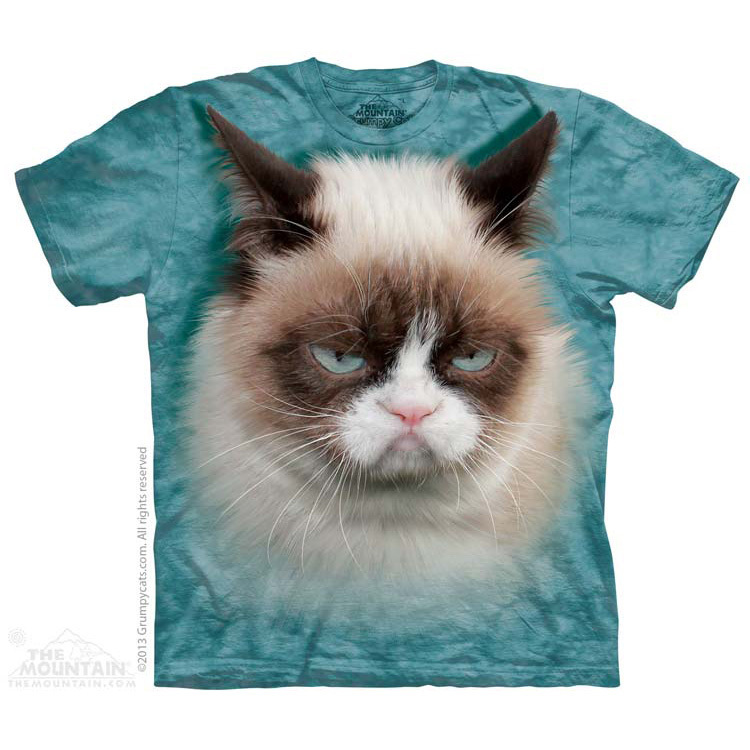 The Mountain T-shirts are just purr-fect for anyone, the choice of designs is so wide and varied, that you will want to buy most of their collections. I love the big, bold designs, perfect life like colors and the quality of the cotton preshrunk shirts is excellent." Environment friendly too, The Mountain® uses only environmentally friendly water-based inks and Dyes. Their way of insuring all of their manufacturing processes fully protect earth, air and water. Their shirts are 100% preshrunk cotton (even the thread that holds it together is cotton). If washed according to our label instructions, in cold water, your shirt stay at the same size as when you purchased it! And we love clothing that not only looks good, and comfortable, but holds it's shape and stays the size we bought it at with no shrinkage. Thumbs up for a quality product at a great price.